At least four people have been killed in a pedestrian bridge collapse in Greater Miami, Florida, crushing several cars, the Miami-Dade County fire chief says. At least 10 people were taken to hospitals with injuries. Ten people were undergoing treatment at Kendall Regional Medical Center, Dr. Mark McKenny said at a press conference. Two of the patients are in critical condition and the rest are stable. He added that more people were transported to other facilities. Eight cars have been trapped in the wreckage, Miami-Dade County Commissioner Joe Martinez said. Meanwhile, the search and rescue operation is expected to continue into the night, as Miami-Dade Fire Rescue said they believe there could be survivors under the debris. The bridge was located close to Florida International University and crossed Southwest 8th Street near 109th Avenue, according to local media reports. Its construction was aimed at allowing university students to safely cross the busy roadway near the campus. The 54-meter-long bridge was scheduled to be opened to the public no sooner than in early 2019 and was still under construction. Several vehicles were struck under the collapsed structure, according to AP. The bridge was reportedly constructed using some sort of innovative approach meant to reduce potential risks to workers, commuters and pedestrians. The university praised the bridge as “the first of its kind.” It also said that its main span, weighing some 950 tons, was installed within hours through the use of an "accelerated bridge construction" method. The span was placed into its final position on Saturday. 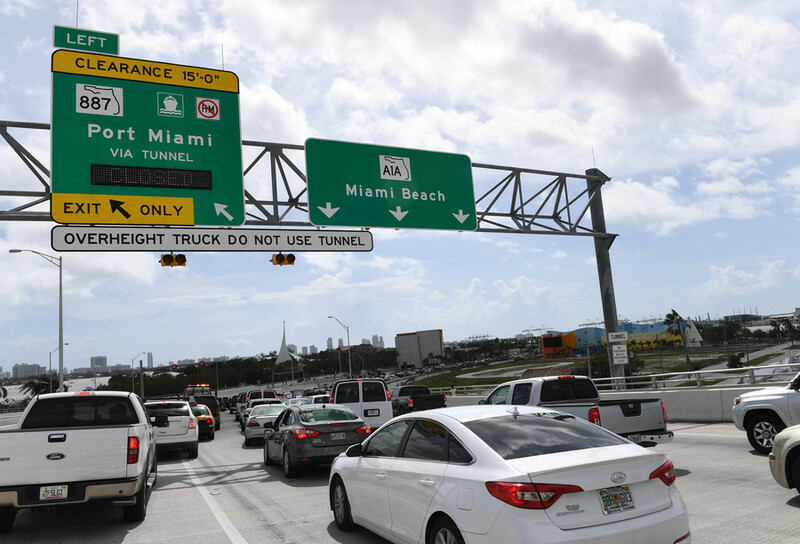 The $14.2 million bridge was a part of a $19.4 million Transportation Investment Generating Economic Recovery grant financed by the US Department of Transportation, CBS Miami reports. The list of agencies that funded the construction also includes the Federal Highway Administration and Florida Department of Transportation Local Agency Program as well Florida International University.